My son the meatatarian and I often connect over a good skewer of lamb which is grilled over hot coals until barely red in the middle. In Greece they might call this souvlaki, but in Turkey, where my skewers came from, all grilled meat like this is called kebab. Soaked in oil and spices for a few hours, the lamb melts into tenderness. Souvlaki or kebab – whatever you call it, it tastes wonderful. Here’s my recipe for both. Enjoy! Lamb note: Consider buying a 3-pound boneless leg of lamb to make these kebabs; use two pounds of it for the kebabs and freeze the other pound for stew or curry. That way, you can cut out the more tender chunks for the kebabs and save the tougher pieces for longer cooking. Marinate the Lamb: Cut lamb into 1½” pieces and put into a glass or metal bowl. Sprinkle with the oregano, thyme, minced garlic and olive oil and toss to coat thoroughly. 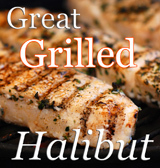 Cover with plastic wrap and refrigerate for at least 3 hours or up to 8 hours before grilling. Make the pita dough: In a small bowl, combine hot water and yogurt. In a mixing bowl, stir together the flour, yeast and salt. Now add the yogurt mix to the flour mix and combine well with the handle of a wooden spoon, scraping down the sides as necessary. Move the dough ball to a lightly floured surface and knead for 2 minutes. Clean the mixing bowl, sprinkle it with oil, put the dough in it, and cover with plastic. Let rise at room temperature for 3 hours. Start the grill: A charcoal grill is best for these. With the lid off and the vents open, start about 25 briquettes and let burn until red. Spread them out in a circle and add another 25 before putting the grill surface into place. Let the coals burn another 10 or 15 minutes until hot and glowing. Scrape any burnt residue off of the grill surface and coat lightly with oil if desired. Turn on the oven: These pitas are best baked on a pizza stone or quarry tiles set on a middle rack in your oven. Preheat the oven at 425° for 30 minutes. 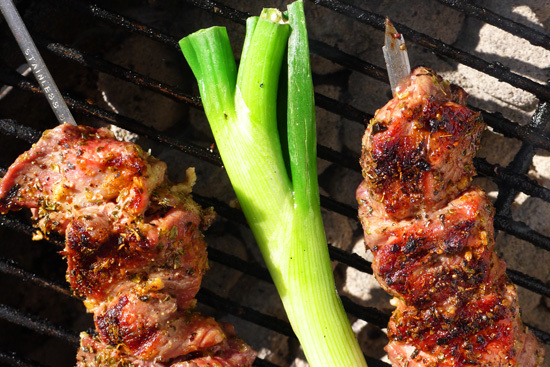 Make the kebabs: Thread meat onto 4 or more skewers. Sprinkle generously with salt and pepper and grill over hot coals for 4 minutes on each of 4 sides. Remove to a warm plate and cover with a piece of plastic wrap while you make the pitas. Form and bake the pitas: Cut risen dough into 6 equal pieces. Flatten each piece with your hand and then use a rolling pin to make 9” rounds. Use flour as necessary to prevent sticking. Bake pitas 2 at a time directly on the quarry tiles or pizza stone. After 1½ to 2 minutes, once the dough is puffy on the top, turn the pitas over and finish for a further 1½ minute. Remove to a basket lined with a hand towel and cover baked pieces until ready to serve. Continue until all the pitas are baked. Put it all together: Serve with tomato slices, lettuce and tatziki. Hummus is nice with these, too. Wrap as a sandwich if you like or use the pitas for dipping. Either way, this classic combination is a hit every time! We just came back from Turkey 3 days ago and I am dying to make pita breads! 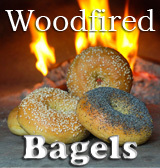 Everyone I asked told me I could not make them at home (I need a wood-fired oven! ), but I’m determined to try with my pizza stone. They topped the pitas with a sprinkling of black cumin seeds and sesame seeds – delicious! Thanks for the recipe. Have a good recipe for simit? Hi Don, couldn’ t resist popping in to see your souvlaki – I add lemon juice to my marinade but apart from that they are just like yours! I grow Greek oregano in the garden, it’s a tough herb and self sows everywhere in corners and stony crevices. I was wondering if you have ever tried Dan Lepard’s pitta bread formula which gives you soft pitas and pockets all in one. It’s my go to recipe for pitta bread every time. Ah summer is coming! 3lbs of lamb meat – lol, I’m poor! Though I love the idea of saving it for later. Lamb in my area is so expensive. I need to find a source that’s not 5.99 (on a good sale) a pound because it makes it too hard to buy at that price. This dish does look delicious and Im sure the meatitarians in my household would love it! Making your own pitas take this dish to a whole new level Don! This is one of my most favorite meals, and I love your step by step directions! I have never tried making pita bread, might have to try after reading this, thank you for sharing! These kebabs look so good I can’t wait to fire up the grill! Agreed about he Greek pitas, so much more texture and taste for my money. These look amazing. The photos are awesome and help bring out the flavor. Atleast what I think they are going to taste like when I make them. I love how you stage your food. The character is completely inviting and different. 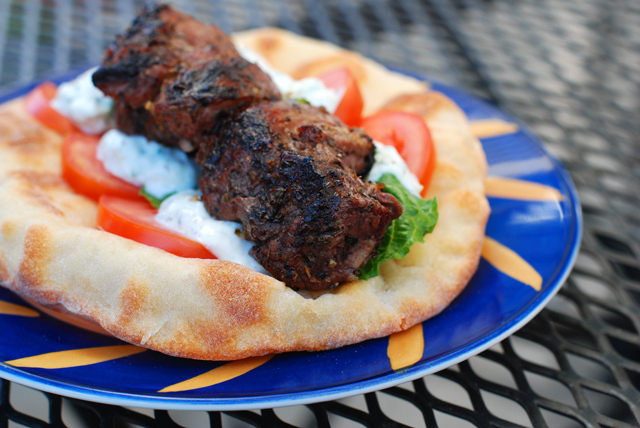 Your profile pic on foodbuzz makes me believe that you really know what you are talkin’bout when it comes to lamb and pita. Can’t wait to try these out. Lamb kebabs look fabulous! The statement, “melts into tenderness” made me drool! Hello! These look so GOOD! Just like the ones I had in Greece. We get donairs here in Eastern Canada and I must say they are good, but not as good as the real thing. Thank you for sharing and for the pita recipe. These look simply AMAZING!! I will definitely be trying these this summer! Thank you for the great recipe! Don, you’ve done it again!! What a tempting dish and another perfect photo to go with it. I’ve never actually cooked with lamb, but I’ve had numerous suggestions recently and the local guy at the Farmers Market has been making some sort of lamb wrap that I’m hopelessly addicted to. You’ve inspired me to try! I’m eager to give your pitas a go as well, I’ll bet the yogurt works wonderfully. Congrats on a most well deserved top 9! !